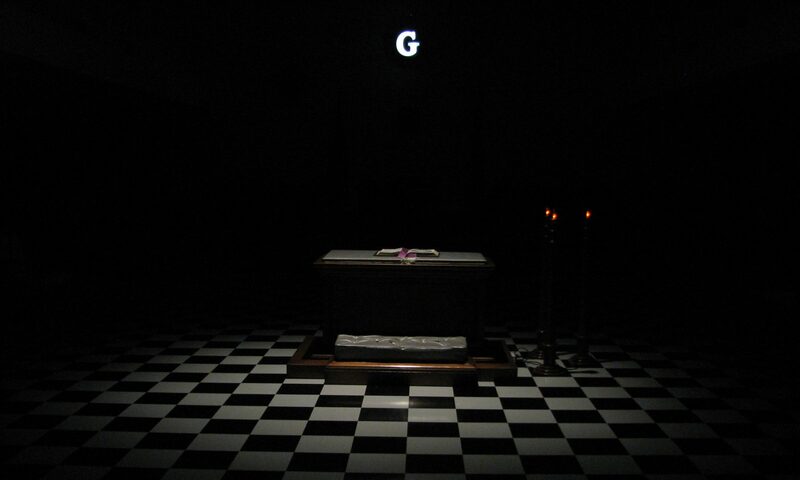 Although Masonic ritual speaks of Freemasonry as an unchanging and unchanged institution, it has evolved over the centuries, and is expected to continue to evolve as a social institution. This paper looks as what Freemasonry might be like one hundred years from now. It examines what was actually “unchanging and unchanged” in the fraternity in the past, and what kinds of changes we can reasonably expect in the future. 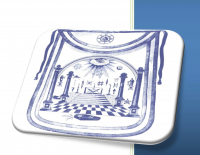 The paper is an update of the Anson Jones Lecture given at the Texas Lodge of Research by the author in 1994, and discusses the application of the concepts from “boundary theory” to the institution of Freemasonry. John Cooper is a Past Grand Secretary of the Masonic Grand Lodge of California, having served for almost eighteen years when he retired in 2008. He holds a Ph.D. in Education from Claremont Graduate School, and before becoming Grand Secretary, he held various teaching and administrative posts in the public schools of California. A Mason since 1964, John served as Master of James A. Foshay Lodge No. 641 in Los Angeles, and is both a Thirty-Third Degree Mason in the Scottish Rite, and a Knight of the York Cross of Honor in the York Rite. His primary interest in Freemasonry has been the history and philosophy of the Craft, and he has published numerous papers on Freemasonry. He also served as Master of both Northern and Southern California Research Lodges, and is currently on the board of directors of the oldest Masonic research organization in the United States, the Philalethes Society. This talk examines how the concept of belief enters into scientific models of learning and intelligence. Although the full scope and beauty of this subject relies heavily upon all of the liberal arts and sciences, most importantly geometry, this talk will restrict itself to the simplest representation based upon logic and intuition. The central focus of discussion will be on how the evolution of belief is critical in making decisions at every scale, from individuals to collective societies. The principles contained will be illustrated interactively through the use of simple games, and the audience itself will collectively illustrate an important concept by participating in an evolutionary multi-player game. Nicholas Wisniewski holds degrees in physics from Caltech and UCLA, and is currently a Postdoctoral Research Fellow in the Department of Medicine at UCLA. His early publications stemmed from particle physics research conducted at CERN and Fermilab, where he developed computational algorithms employed in the searches for the Higgs boson and Supersymmetry. His current research is in the field of information geometry, developing novel techniques in artificial intelligence applied to systems genetics. In California Masonry, an applicant for the degrees of Masonry must be a believer in a Supreme Being and a future existence. Why does California Masonry require this belief? What elements must be present for there to be such a belief? How does this requirement compare to the practices of those Masonic obediences which are based on freedom of conscience regarding belief in a supreme being? In this presentation, these questions will be considered in the context of the history of this requirement and Freemasonry’s understanding of geometry as a hermetic symbol. In the American Revolution, and early republic, Freemasons and individuals in wider civil society were involved in a communication revolution. Literacy grew rapidly in America in late 18th and early 19th centuries. Reading and enhanced communication became a necessity of individual learning and associational life. New aesthetic forms of public ritual performance took shape in laying the cornerstone ceremonies inherited from Scotland through England, and Ireland, and multiple original printed texts of the Declaration of Independence were rhetorically performed across emerging states. The corridor of cities from Baltimore to Boston, with Charleston as an outlier, held the largest concentration of print resources in the world. Freemasons were a leading force in emerging forms of rhetoric, building educational institutions, the development of print culture and the fashioning of communication infrastructure in the nation-state. In fashioning so prominent a place for open communication, the Freemasons, a civil society, in effect were helping build the first public internet. The talk examines the interrelationship in early America between worlds of print, communication and Freemasonry. There are implications for democratic civil society in the global 21st century. The lecture is planned as part of a much larger series of talks by a range of speakers from different disciplines examining the role, and history, of communication in different media and public discourse in civil society and in revolutionary change. Among other papers to be presented in the series will be those concerned with the role of the new social media in the Arab spring, China and the internet, the image and text in the French Revolution, the Glorious Revolution in England, and independence movements between 1810 and 1825 in Spanish American republics in South and Central America. First Lady Dolley Madison and the Freemason Benjamin Latrobe were major architects of civil society and the public sphere in the early American republic. Their work in Washington DC had impact far beyond the geographic and socio-cultural boundaries of the new Federal Capitol. By examining their individual lives, and work together on the White House, and the context of related projects like the United States Capitol, it is possible to gain insight into the early historical geography, daily life of the new nation,and the wheels of government in Washington DC. The research paper provides opportunity to reconsider ideas of public and ritual performance in civil society, people who have been forgotten, communication of the written and spoken word, aesthetics, and geographic place. Freemasonry was a key factor in the construction of nation-states in Latin America. Unlike in other countries, Mexican Freemasons and Freemasonry were directly involved in government and politics throughout the entire century. This talk will analyze how Freemasonry contributed to the formation of a public sphere, the construction of the new political systems, and how Freemasons, among other politicians and intellectuals, fought to consolidate secular states in Catholic countries. In this sense, the study of Freemasonry will be seen as a way to understand the political systems, cultural traditions, and intellectual developments in the history of Mexico during the 19th century.